And the bucket in this case is the Fukushima Daiichi nuclear power plant in Japan, a radiating time bomb that now is causing frightening headlines punctually at the precise square of Jupiter and Uranus. According to the most recent explanations by the Japanese Ministry of the Environment, up to 300 tons of radioactive contaminated groundwater run into the ocean every day. And now there are even more leaks, so the radiation exposure is getting higher and higher. 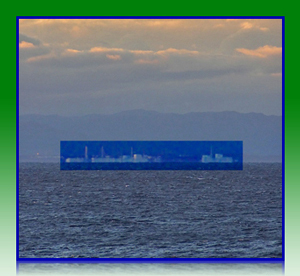 We have already described the background in two articles (Japan: Attempt at an Analysis and Fukushima and No End ). Now the question arises as to how long this systematic contamination will continue. We can say this right at the start: A quick improvement is not in sight. All of the reactor blocks have relatively reliable data that shows a basic tendency. Fukushima remains in the crosshairs of Uranus and Pluto. The beginning of construction for the first reactor block started on July 25, 1967 (no time available). Even the first glance shows a classic disposition to accidents; Mars (2° Scorpio) stands in the square to Leo-Sun. Pluto and Uranus (both signifiers for nuclear power) stand in conjunction with each other. With the corresponding time, the Pisces-Moon could also be in a wide opposition to it. For the further course, the positions of Saturn and Mercury – which stand in the square to each other – are important. On the old familiar degrees of 12 Aries or 13 Cancer. 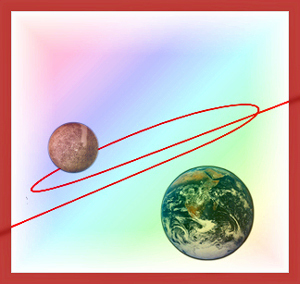 In addition to the tendency to have accidents as a basic Sun theme, disfunctionality is also indicated here; in this case, it is the connecting parts (Mercury). It may also be an expression of the operators no longer understanding their own reactor and not having any idea of how they should solve the problems. Myths and fairytales arise when idols die. Now that the legend Lady Diana posthumously has a Pluto opposition Sun, another story has been added. On 31 August 1997 – almost exactly one year after her divorce from Prince Charles (who has Uranus as Lord 7 on Aquarius DC precisely at the accident degree) – a Mercedes drives into a Paris tunnel after midnight. Possibly blinded by flashes from the paparazzi, the driver loses control of the car at 12:23 a.m. This happens as the IC on the Seine moves over the mundane Leo-Moon and the MC is close to the Aquarius-Jupiter. What an image. The woman on the back seat, who dies a few hours after the car collides with a pillar, has a Cancer-Sun with Sagittarius-AC – of all things – as the mundane signum. The accident goes around the world, also because Diana Spencer –- who would only live for 36 years – was the mother of the future King of England. Up to this day, public mistrust has never completely ceased. Suddenly the black sheep who had shaken up the Royals until the crown wobbled was now dead. A letter (FOCUS) that was coincidentally found during another case has now renewed the old rumors. A soldier supposedly boasted in it that the special military unit SAS (Special Air Service, which is under the control of the British Secret Service) is responsible for the death of Lady Di. The authorities have allegedly known about its contents since 2011, but Scotland Yard is only now examining its "credibility" – even if it absolutely does not want to reopen the investigation. The North Node, Saturn, and Jupiter are currently triggering precisely the accident-Mars in Scorpio, Ruler of the 12th house of the drama, which means what is concealed and not yet exposed to the light. Everything is infinitely reflexive. In the astrological sense, the time is quite appropriate since the dead often come back into the public's consciousness when their radix is touched by important transits. After all, the person's horoscope does not die with him or her. 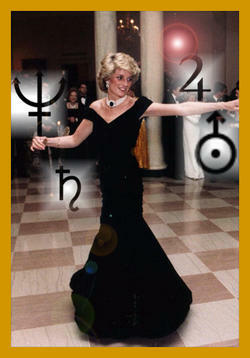 For Lady Diana Spencer, the Princess of Wales, Uranus and Pluto are in a vehement tension with the Sun at this moment. First memories of her rise to the surface through the birth of her grandson George, and then the freshly fed suspicion that it was not an accident after all back then – as her lover’s father has speculated for years. What can be done astrologically to bring more light into such cases? Not much if there are no precise birth times for the parties that may possibly be involved. Yet, a comparison with the time of the event is still possible. These days we wistfully remember the Grand Trine and are now rather cautiously welcoming the emergence of a Grand Cross. After all, we could only complain about the constant back and forth of Uranus and Pluto up to now; although many ills that we actually did not want to see were visible, resignation usually quickly spreads once again following a brief outcry and general indignation. But this back and forth, this wavering and hesitating, could only have been the calm before the storm. Because Jupiter – the biggest chunk in the planetary choir and lord of the last fire sign – is coming into play. It opposes Pluto and therefore also the old structures and realities of the Capricorn archetype. Things will become fierier: Fire and water produce steam and therefore pressure in the closed cauldron of systems and concepts. And at some point, this pressure must find an expression or outlet. As so often is the case, there are at least two possibilities for this to occur. The first is that things stay as they are. Global terror warnings are obviously already circulating and this is not completely wrong from the astrological perspective. 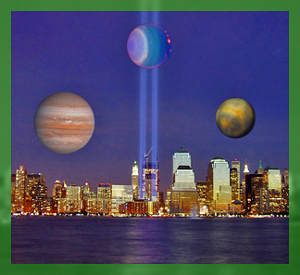 The last oppositions between Jupiter and Pluto occurred on 26/05/2001, some months before the attack on the World Trade Center in 2001; on 11 September, Jupiter was not far from its current position in Cancer. In the review of this aspect, crises and upheavals were not individual cases as the two of them opposed each other in the years 1962 and 1963 (on the axis of Virgo – Pisces at that time); the Cuba Crisis developed into the biggest threat since the Second World War. And 1988, under the opposition in the signs of Taurus and Scorpio, was the beginning collapse of the Warsaw Pact and the Soviet Union; a short time later, the walls of the divided Germany also fell. 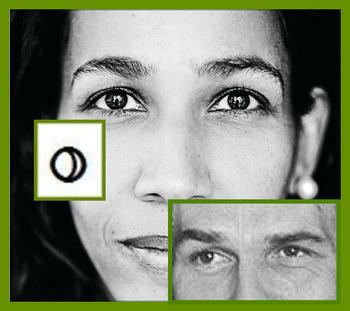 There is a very strange, special energy that connects people through this unusual charismatic position in the horoscope: Zero degrees (as well as the last degrees of a sign) represent circles that complete themselves. Like countless British kings, queens and successors to the throne before him, even the newly born little Prince George Alexander Louis of England has them once again. 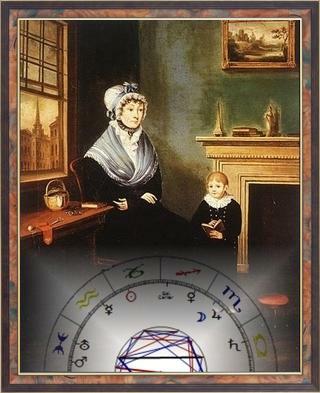 The oldest progenitor of this line is Sophia and she brought the 0-degree position to the center of the cosmic column. 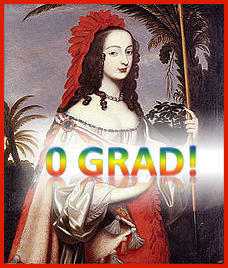 Since the important 1701 Act of Settlement, which established a new regulation for the Kingdom's throne succession, the Stuarts were replaced by the Welfs with this woman from the Palatinate. 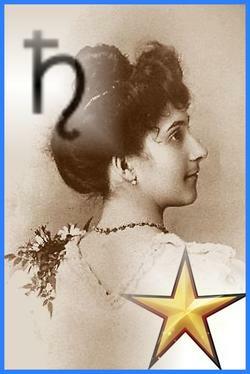 Lilith – of all influences – was in her Aries on the zero point of the Zodiac. With the "Black Eve," she contributed the emphasized position and extraordinary power of the first and last degrees into the genealogy of the new island rulers. These special classes are cosmic firecrackers. The closer to the 0 or 30 degrees, the more effective they are. This is because they create the climate of an infinite ring in every birth picture: The beginning meets the end. The past, the present, and whatever is incomplete meets the desire for perfection. You made it! Even though it was not completely 0 degrees Leo, we were sailing close to the wind in respect to the full moon: Loop! was exactly one-and-a-half arc minutes wide of the mark with the astrological hopes for the king's birth. The new little prince of the United Kingdom was already secretly, silently, and quietly born into the world around 4:24 p.m. (London time) and therefore barely still has a Cancer Sun in the truly very last fractions of an inch: 29.58.44 degrees, with the ascendant Scorpio in the auspicious 27th degree and Venus at the royal star of Regulus, plus a strong Uranus connection through the AC and MC Lord in the nearby square to the cosmic rebels. So Kate and William are now finally parents. 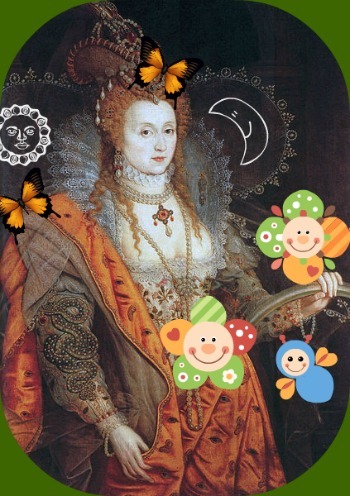 The Duchess "worked" (women in England have "labor" instead of contractions) – according to the initial mental math – for about ten hours. More than four hours after the birth, she was feeling fine again, even though the day that she became a "mommy" was the hottest of the year. With this considerable delay, the public was then informed while the astrological world already expected that it was halfway in the realm of the Leo kings. The Queen’s – unusually delighted for British understatement – then stoked the rejoicing in front of the palace. "We could not be happier," is the message that the youngest father of the royal family, Duke Wills, who was once also called "Wombat" by his parents, in his first statement through a palace speaker. But how does the natal chart of the even much younger successor to the throne? It is a powerscope with the Sun and some other factors in 8, the Moon in Capricorn – so it is close to a full moon—image. Yet, the royal zeroth degree, the royal's challenge cup, is still part of the radix: Venus is namely located at 0 degrees Virgo in House 9. What does all of this mean for the Empire? Court reporter Ms. Wetterer will soon have the astrology of the new prince analyzed extensively. Until then, we will rejoice with the island – which is now emotionally completely beside itself (also a typical Mars-Cancer phenomenon, close to Jupiter) – and wish Mum, Dad, and Baby Cambridge all the very best and above all, that they finally get some quiet from the absolutely disinhibited public. May he grow and thrive and bring a bit less monarchist dogma and more emotional empathy to the world with his water trine. The boy has the makings for this – double water – if the witnesses of the birth took a proper look at the clock. Which can be expected from a national event of this magnitude (even if the information on physical height information is still unknown at this point). Egypt - End of the Spring? When the cradles of our civilization – Iraq, Syria, and Egypt – are dominated by turmoil and war, this has more than just a political significance. This is also where the spirit of our age, symbolized by the square between Uranus and Pluto, is expressed. It is an indication that more is involved than the introduction of democracy to the Arabian countries. Instead, this is about a general reorientation in a world that is increasingly losing its boundaries, in which everything is linked with everything else, and every change on the small scale has direct consequences for the whole. So the events in Egypt are rightfully receiving the appropriate attention. Whatever happens there in the coming months can lead the way for many other developments. And if we look at the astrological background within this context as a type of mirror for the spirit of our times, it is perhaps helpful to once again visualize the basics of the above-mentioned square. Uranus and Pluto symbolize the two archetypical streams of consciousness that have a less direct influence on the individual. They are obviously also reflected in the everyday experience of each person and can consequently be transformed and co-created – at least indirectly. But above all, both are manifested in the movement of large masses where many individuals come together and mutually create something that is more than just the sum of its parts. At the least, this is a dynamic that no one can escape in the long run. The Uranian principle has many facets. 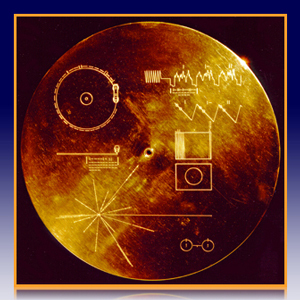 Uranus' discovery occurred together with America's independence and the beginnings of the French Revolution. In both cases, this involved overcoming a political system in which individuals had the power to ignore the wishes and needs of the many. The monarchy as an institution was ultimately replaced by a system in which "the people" became the sovereign. In any case, this was and remains the objective. Since June 26 morning at 3:36 a.m. (CEST), a portion of the current time quality has once again experienced a general change. 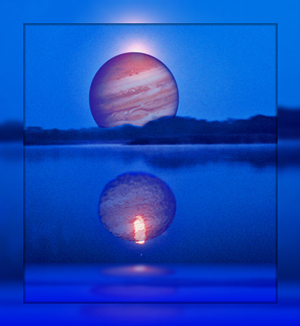 From the perspective of the Earth, Jupiter has wandered into the sign of Cancer; as of now, it will constantly supply our inner images (above all, those that are related to ourselves) and the sensations connected with them. They will expand and expand and expand... And anyone who immediately thinks of bursting balloons is not entirely amiss. In a certain sense, Jupiter in Cancer is similar to a continual Jupiter-Moon conjunction. 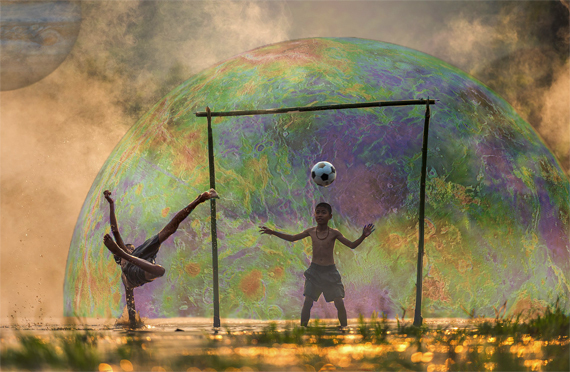 But there are few short moments of actual, time-dominated life in which the quality of such a connection can show itself. In this respect, the next weeks and months are also an opportunity to newly adjust our own inner mirror (Moon) and orient it towards the contents that can give our entire life a helpful sense of meaning (Jupiter). Who were you before your parents were born? Where the mind (Mercury) stops at the boundary of our own sensory perceptions, Jupiter takes at least one step further. Not as an end in itself, but precisely this aspect contains the meaningful elements that have always been attributed to it: showing new connections and new correlations, as well as stretching and expanding the boundaries of our own power of imagination – even in relationship to ourselves. Myths about extraordinary people may take root most easily – like the roses around Sleeping Beauty's castle. A Gemini with Scorpio AC and Aries-Moon is one of these individuals who lives behind them in his very own cosmos of numbers. 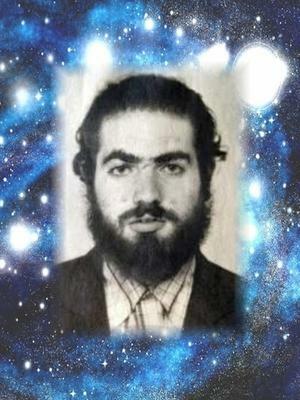 With a Mercury-Jupiter constellation in the 8th House, which like Mercury-Saturn is an astrological classic of comprehensive and conclusive intelligence, Grigori Yakovlevich Perelman of St. Petersburg is one of the most exciting figures in the otherwise chilly world of mathematics. According to the standards of these planets, he is a rather non-conformist recluse who wanted to grow his fingernails as long "as the Guinness Book of Records" (quoted by his former fruit vendor) and responded to a prize of one million dollars for solving the Poincare Conjecture (one of the seven "Millennium Problems") with a bare-knuckle rejection. Out of disappointment about the organized world of science. A book by Masha Gessen about the man who is perhaps the most intelligent living person of our age has now been published by Houghton. Grisha is the name given to Perelman, the odd character, in the industrialized settlement where he now lives in an extremely modest ambience at his mother's place (Cancer emphasis). Due to his idiosyncrasies, he has repeatedly been compared with the ingenious mathematician John Forbes Nash, who suffered from schizophrenia and about whom the award-winning film A Beautiful Mind was made. It is strange that both were born on a June 13. Where Perelman, the prodigy who has become the wondrous exceptional figure of his discipline, has a Mercury-Jupiter in Cancer, John Forbes Nash has Mercury-Pluto in the 12th House. The planet of thinking in the challenging, large aspects to the slow-runners often denotes a very special talent that is sometimes reminiscent of obsessive mental gymnastics. Such constellations have been found time and again in the geniuses of the millennia -- Einstein also had a strongly incited Mercury and his Saturn, which can both structure and determine thinking (in a specific direction), was at the conjunction in Aries. It is especially conspicuous that mathematicians or physicists frequently have an emphasis in cardinal signs. After all, the mad drive must also come from somewhere. Here is a tidbit as an aside: Asteroid 50033, which is called "Perelman" after Perelman, stands exactly at Apex 6 in Taurus in his natal chart. Grisha practically adapts the surrounding world to himself -- and not himself to the surrounding world, in keeping with an old rule of thumb: The factor on the house apex dominates the sign. Who really rules our world today -- the opinions on this are deeply divided. The ages of a Sun King, the idealization of the Leo archetype, are over. 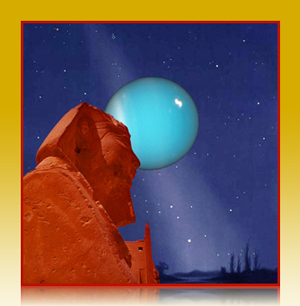 Uranus now rules in the form of countless groups, organizations, and communities that often operate behind the scenes. 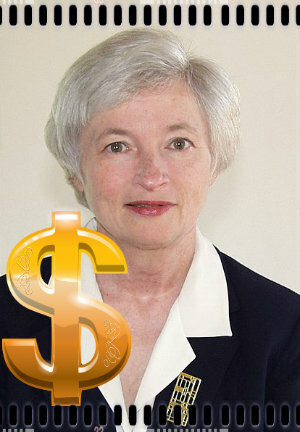 However, an official poster child of this development can still be found in the meeting of the powerful at the G8 summits. This is what occurred at the start of the week on June 17 around 3 p.m. as the political leaders of America, Russia, Germany, France, England, Canada, Japan, and Italy sat down at a little round table to solve the acute problems of the world. Why China is still missing in this circle but the EU is represented multiple times is probably due less to the significance of these states than the old political reservations. Nevertheless, an astrological glance behind the official facades seems like a good idea. Who are the men and women governing our world, who gets along with each other – or not, and, above all: How are they involved in the current topics of our age? 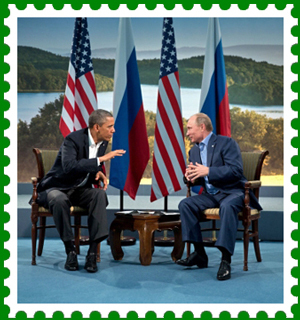 Russia’s President Vladimir Putin will be allowed to go first. As can easily be recognized in almost every photo from recent weeks, Putin apparently has a permanent bad mood. A Sun-Saturn conjunction obviously cannot be expected to be the life of every party, even if the Sun is in Libra and has a Neptune-Mercury conjunction at its side. But power weighs heavy on his shoulder during these days. This situation is compounded (in the course of Saturn's transit over his Scorpio-Venus) by the divorce from Lyudmila, his wife of many years. And all of this could possibly get much worse. He lived for 42,422 days or more than 116 years - if his data is correct, which has even been scientifically studied in the meantime. The Aries Methuselah Jiroemon Kimura has now died, six years younger than the mega-record holder, double Pisces Jeanne Calment (picture) who entered the annals of age with her 122 years. Even with a different birth month, the Japanese Kimura (who the registry office has recently presumed to be a Pisces after all) would have a linked lucky four-leaf clover of Uranus, Saturn, and Jupiter in his horoscope. However, the oldest person in the world has now made space for an Iron Lady by the name of Misao Okawa (115 years and 100 days) on the list of evergreen human beings. In turn, this little persevering Pisces woman proves to have super stamina with the three slow-runners, a signum of the golden vintage that has only been survived by a handful of the elders. But what about the personal, astrological indications of a long existence – even without such generational aspects? In astrology, Saturn (the Capricorn ruler) is always also the lord of the three time periods: past, present, and future – what has come into the world, what exists, and what will still happen. It reflects time itself, which also includes old age. A well-placed Saturn as the basis of a very long life is therefore certainly not a flaw because it also symbolizes stubborn and stable relationships in every respect. Yet, whether someone exceeds the customary span of existence also depends just as much on Jupiter. Because it exaggerates everything that lives to the point of the superlative, it also stands for records. Capricorn, as the sign after Sagittarius and therefore also its "2nd House," marks Jupiter's talents and longevity when it is connected to Saturn. These two factors are also found more frequently in “ancient” people, linked with their personal planets. According to the currently presumed date, Jiroemon Kimura had a good Sun-Jupiter trine and Moon-Saturn; his successor Misao Okawa has a Moon-Saturn-Uranus trine with a Jupiter sextile and Sun-Saturn. The actual story was that he died a natural death many years ago -- if this term can even be applied to cancer as a disease. 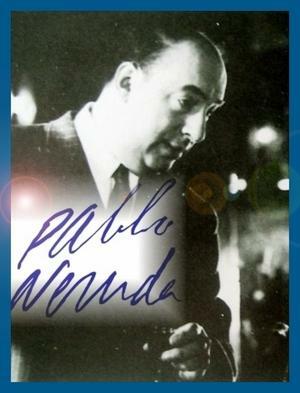 But it is possible that Pablo Neruda, one of the greatest poets of the last century and a person with a repeated emphasis in the zodiac sign of Cancer, may have been the victim of a poisoner back then. He certainly experienced difficult times in the astrological sense: In September of 1973, Saturn went direct and Pluto moved from the square just above his difficult conjunction of Mars-Neptune in the 8th House. Especially due to the involvement of the Pisces Lord, the new murder by poisoning hypothesis is ultimately not as far-fetched as it may sound at first glance – particularly since it comes from the police, more than 40 years after the incident. The investigation has now been reopened with an extreme delay. A confidante of the poet (his chauffeur and secretary) had long claimed that Augusto Pinochet had the Nobel Prizewinner killed due to his sympathies for the Allende Government and because he could have become a problem after the putsch. What was initially dismissed in the world as classic legend creation cannot be so easily denied when seen in astrological terms. In the horoscope comparison, the dictator places his Pluto on Pablo Neruda's Mars-Neptune and this illustrates his Pluto transits at the time of death far too well for these correlations to be simply construed. In all of his passion and eloquence, the poet was already a type of shadow for the general. His Sun is reflected directly on Neruda's gateway in Cancer: his strength of soul, love of existence and inner homeland, which he painted with words like hardly anyone before and after him.